Habitat - Hammocks, swamps, meadows, open woods. Other information - This attractive species can be found throughout Alabama and is probably present in every county. 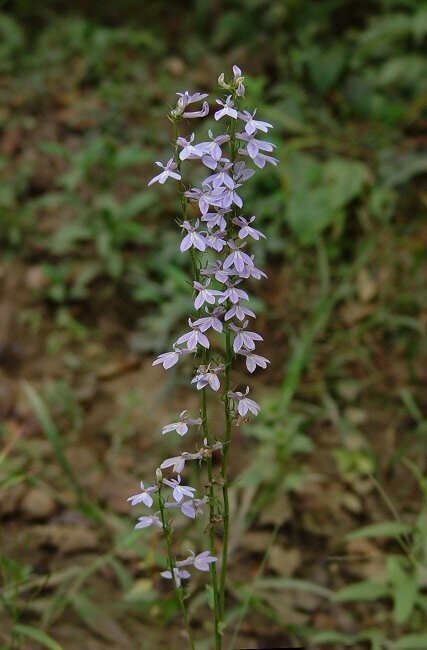 The plant can be identified by its pubescent stems and leaves (at least at the base) and blue flowers (rarely white). 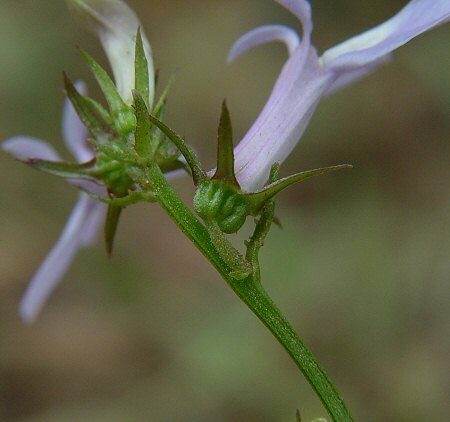 The flowers are +/-1.5cm long. 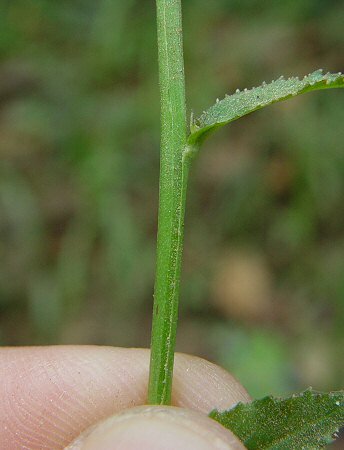 The species epithet puberula derives from the Latin "puber" meaning "downy" and refers to the hairs of the plant. 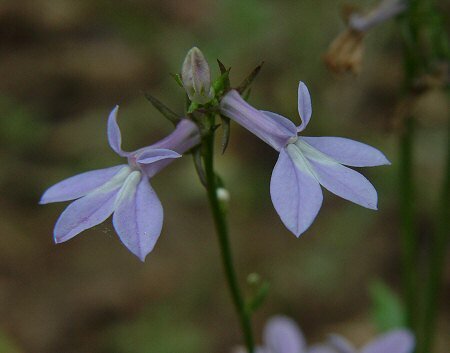 The genus name Lobelia is given in honor of Matthias de L'Obel (1538 - 1616). L'Obel was a Flemish Herbalist. 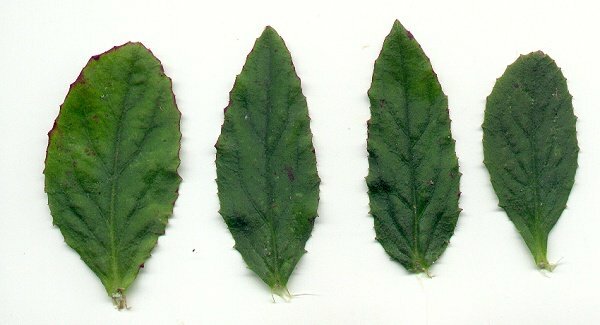 Since he lived before the time of binomial nomenclature, L'Obel divided plants based on leaf characteristics. His most famous work is his Stirpium Adversaria Nova published in 1570 and again in 1576. The work discusses nearly 1300 plants. Photographs taken at Tuskegee National Forest, AL., 10-9-04.